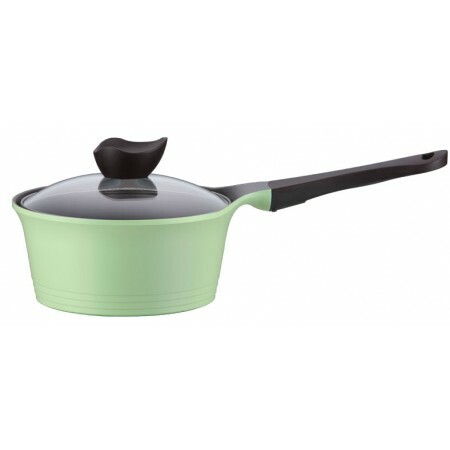 (RRP $149.95) Neoflam Nature+ is healthy, non-stick cookware with an eco-friendly ceramic coating completely free from harmful chemicals and heavy metals. High conductivity & even heat distribution, very durable and scratch resistant, oven & dishwasher safe. Suitable for induction cooktops. Buying this product = 114 Reward points for Members. Your cart will total 114 points = voucher of $5.70. Not a Member? Join at checkout to claim these points. With its state-of the art design, Neoflam NaturePlus has recently won the 2012 reddot design award, one of the most prestigious and sought after product design awards in the world. Steam vent hole hidden under the Bakelite knob, preventing “boil overs”.